Volume 2 of The Deepgate Codex takes us back into an amazingly colourful fantasy world where surprise and danger wait around every corner. Order has collapsed in Deepgate. The chained city is now in ruins, and the Deadsands beyond are full of fleeing refugees. Meanwhile, the Spine militia is trying to halt the exodus of panicking citizens through brutal force. Rachel and the young angel Dill are dragged off to the Temple torture chambers… but strange things start to happen as a foul red mist rises from the abyss beneath the city. For the god Ulcis’s death has left the gates to Hell unguarded, and certain forces in the fathomless darkness beneath Deepgate have noticed an opportunity. Only the offspring of the dread goddess Ayen understand this new danger. 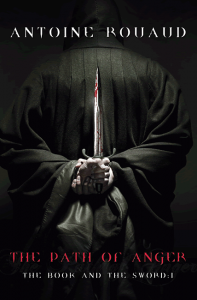 Already, Cospinol, god of brine and fog, is coming to save his brother’s temple – and to hunt down Ulcis’s murderers. His foul, fog-wreathed skyship has already reached Sandport, bringing along its own version of hell. By now, Rachel just wants to keep her companion alive. Escaping their prison, and with enemies closing in on all sides, she is forced to undertake a perilous journey across the Deadsands towards the distant land of Pandemeria. But there the battlefield at Coreollis is fated to witness a clash of powers – a contest between men and gods and archons and slaves, all forced into desperate alliances. 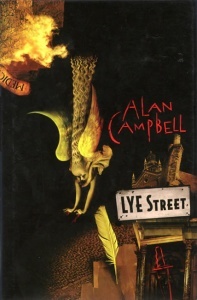 In this stunning follow-up to his epic fantasy debut, Alan Campbell propels readers into a captivating city battling for its own survival – and that of humankind – in a world of deities and demons, fallen angels and killers. 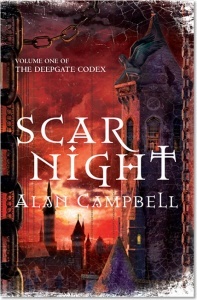 Campbell earned himself a lot of critical goodwill by delivering such a confident and effective debut as Scar Night, but by the same token he set his own bar higher than most fledgling novelists. Does Iron Angel make the grade? The answer is a definite yes, but he’ll be better yet when he learns to reign in his narrative when it threatens to bolt. 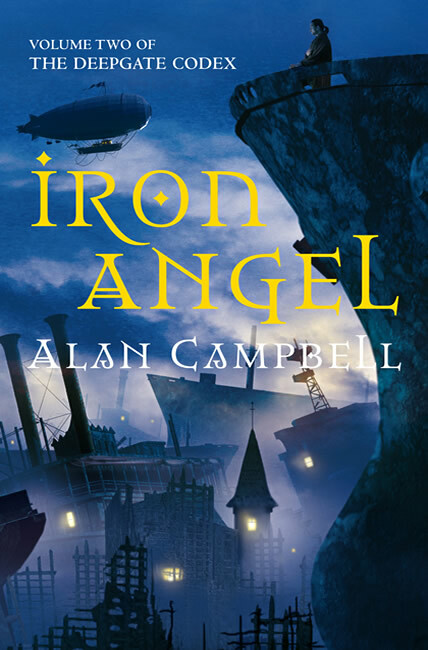 Quibbles aside, Iron Angel is a success, with a delicious cliffhanger at the end. 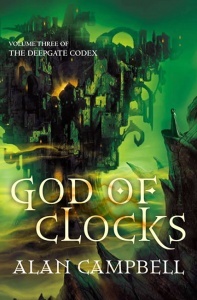 Part three of The Deepgate Codex is definitely on my reading list. 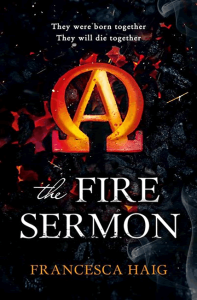 A big, bold fantasy that pulls of that most difficult of tricks with the second book in a trilogy. All in all this is a far more accomplished book than its predecessor… The actual storyline has great potential and has left me looking forward to completing this trilogy. Mid-blue cover with white text on spine, white endpapers.